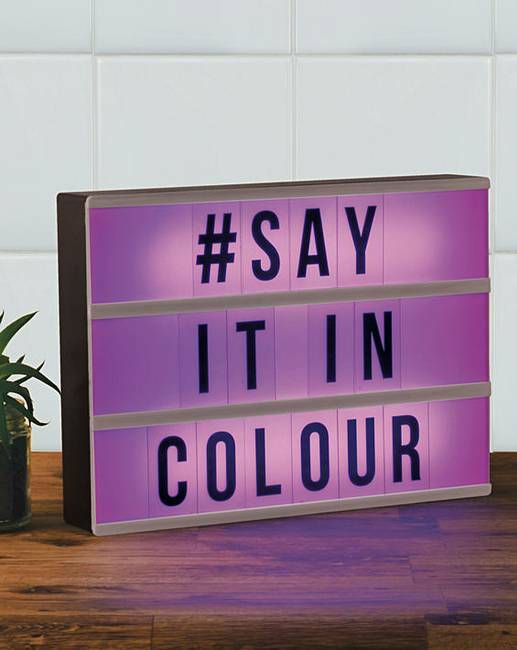 Light up your world! 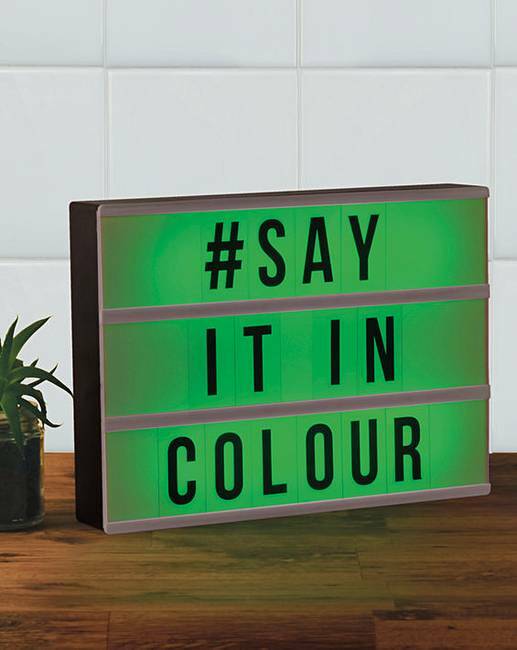 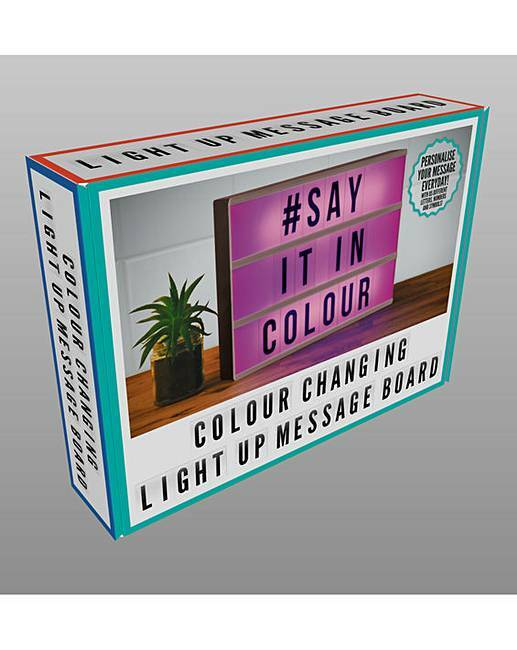 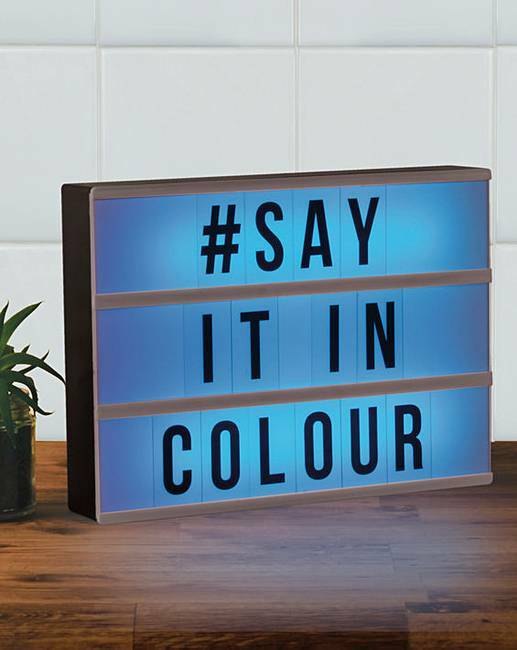 Create messages for friends and loved ones, then bring them to life with two different light-up modes: classic steady white, or multicolour changing. 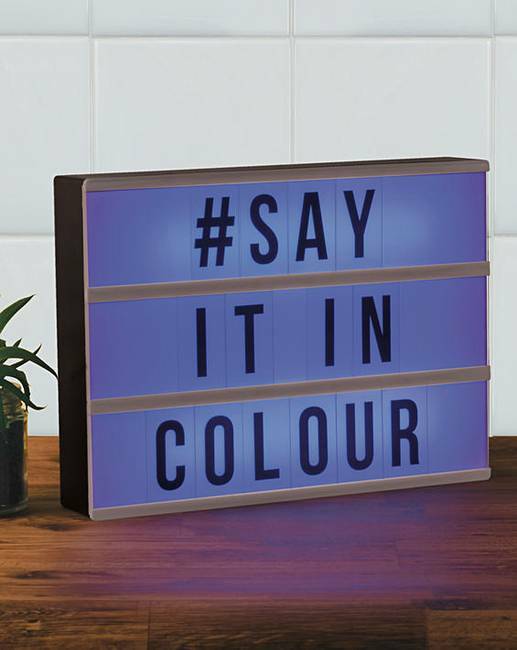 A collection of 85 different letter, number and symbol tiles means you can come up with different messages every day!